The accompanying pattern booklet maximizes the color changes in Medina with simple shapes and silhouettes that are ideal for warmer months. Variations on slipped-stitch patterns create a stunning fabric. This knitted cardigan pattern is worked in pieces to change the direction of the knitting for a simple yet stunning effect. 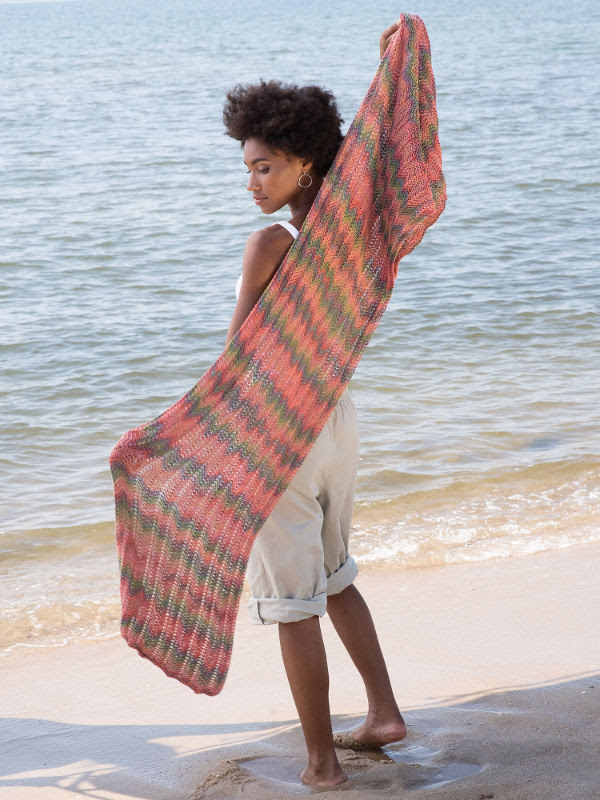 Perfect for beginner knitters, this shawl uses an easy zig zag pattern to add a pop to any outfit. Can be worn as a scarf or shawl, its the perfect accessory for Summer. This simple tee highlights the color shifts by changing the direction of knitting. The front and back are worked separately, beginning with a horizontal waistband in garter stitch, then knit vertically with the cap sleeves worked as you go. 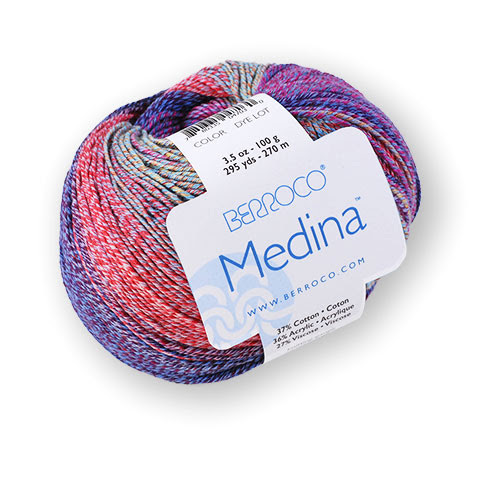 Medina is great for crocheting! 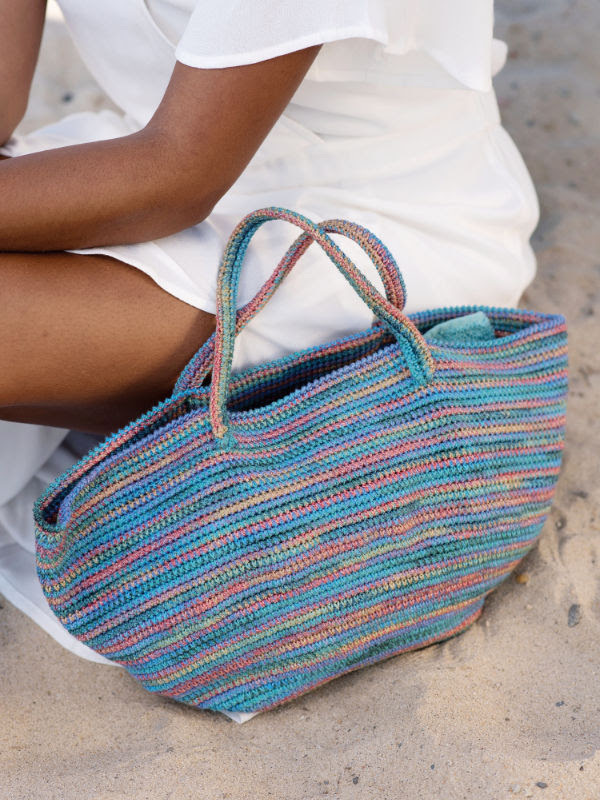 This simple crocheted bag pattern is a great combination of yarn and stitches. Beginning with a slightly oval-shaped base, this small bag is worked in single crochet stitches and finished with two handles. This simple knitted tunic combines garter stitch and the cool variegated colors of Medina for the perfect spring top. Directional knitting lets the yarn shine while adding stability. Dress it up or down, this top is easy to wear. “Vacanza”Two balls of Medina are all you need to work up this knitted shawl. Knit side-to-side in garter stitch with a loopy fringe worked as you go, this shawl can easily be adjusted to a larger size. 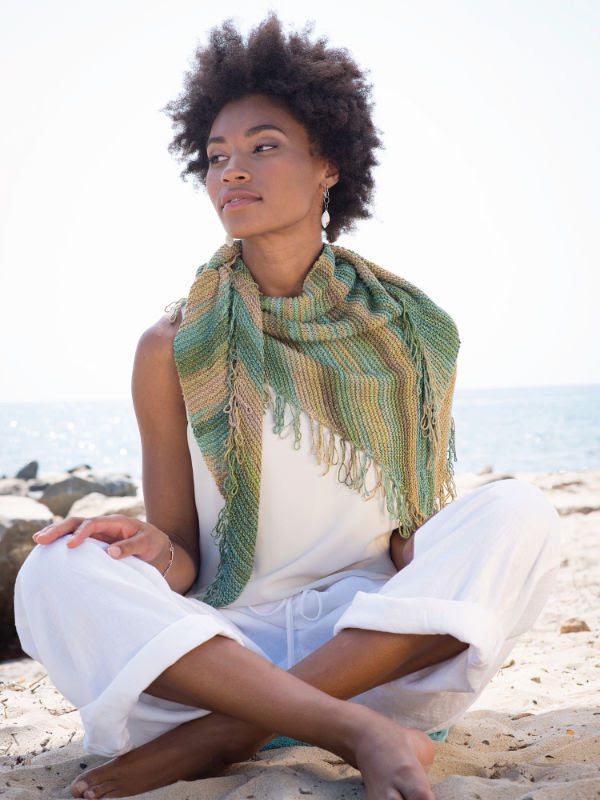 The Medina Trunk Show is here! We have all of these projects in the shop, so stop in and check them out in person!